After publishing Sending You Sammy I decided to appeal to older readers with a collection of short stories which reflect my past, present and future. 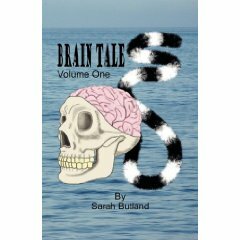 The stories in Brain Tales – Volume One are sure to make you think, smile and wonder what comes next. Available now through Amazon and Barnes and Noble, and locally at Cover to Cover Books in Riverview as well as Read’s Newstand in Moncton and Riverview, Brain Tales is a must read. This entry was posted in Uncategorized and tagged Amazon, Barnes, Brain, Moncton, Newstand, Riverview, Sammy, Short Stories, Volume One on February 6, 2009 by CoronaTheDogo.